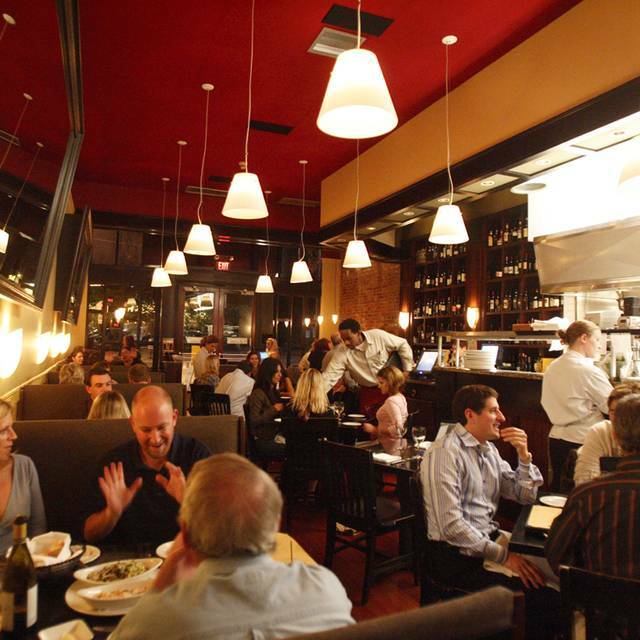 You must make reservations at least 5 minutes in advance of the time at La Tavola Trattoria. 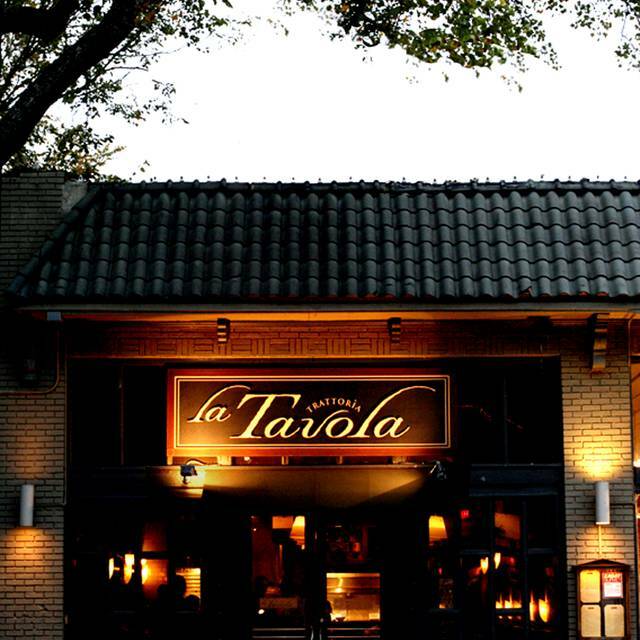 La Tavola offers valet parking across the street at Wells Fargo Bank after 5pm and a private parking lot behind the restaurant; street parking is also available. 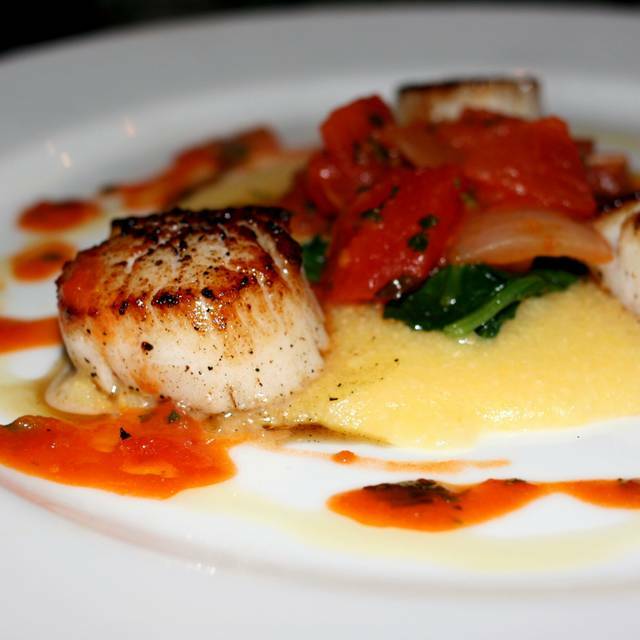 La Tavola is owned by Fifth Group Restaurants which also owns Bold American Events & Catering. For more information on catering, please visit http://boldamerican.com. "Best Italian" - The Sunday Paper's Reader's Choice Awards. 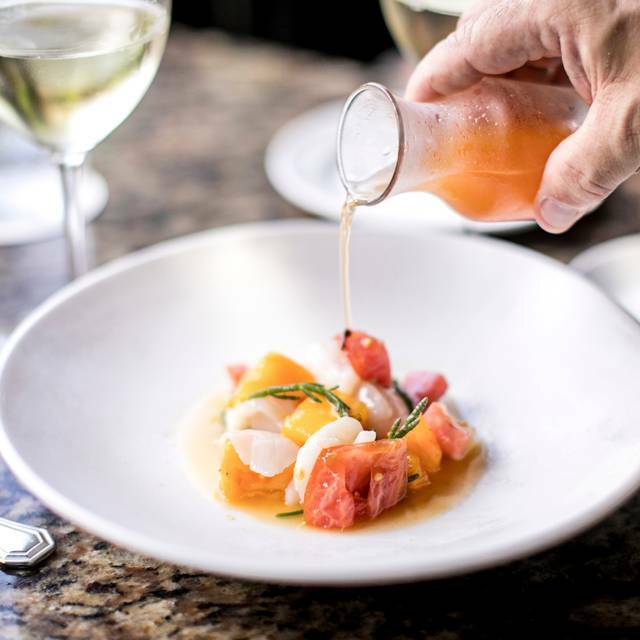 "Top 50 Restaurant" - Atlanta Journal-Constitution. 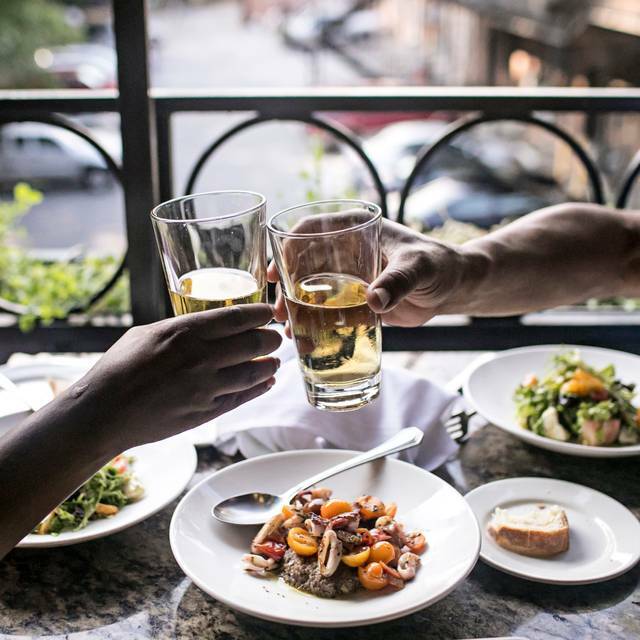 Exposed brick, dark wood floors & rustic colors give La Tavola its authentic trattoria feel, while progressive touches hint at its innovative cuisine. The food is simple yet creative, elegant & certainly delicious - the kind of food you could eat every day or turn into a celebration. La Tavola also offers one of the city's most unique brunch menus. It is a can't miss! gf=gluten friendly preparation as is. mgf= can be prepared gluten friendly with modification. All reservations on Mother's Day require a Credit Card to hold the reservation. Changes may be made up to 6 HOURS PRIOR to your reserved time. However, if your party cancels within 6 hours of your reserved time or fails to show, a $25 charge per guest charge will be applied. Thank you. All reservations on Easter require a Credit Card to hold the reservation. Changes may be made up to 6 HOURS PRIOR to your reserved time. However, if your party cancels within 6 hours of your reserved time or fails to show, a $25 charge per guest charge will be applied. Thank you. La Tavola and our server Donna helped to make my 50th Bday very special. The service was spot on. The food was amazing. There are Monday specials that are very convenient and excellent in taste. :) we liked the ambience and the food. Amazing food and great atmosphere as always. Kayla is always very attentive and has great menu recommendations. Had a great evening. Randall was a terrific server. The service was great and the food delicious, will definitely be back! I was really impressed by our server, especially when she knew my wife's name so that we didn't have to get out our FG card for her birthday discount. Her points were automatically added to her account, and she took the birthday discount off without us asking. We come by regularly, and it's really nice to have that kind of personal touch. I'm still not 100% sure how she knew my wife's name, but it was a very nice touch. Looking forward to coming back again. Excellent, reliable and consistent food in a neighborhood friendly environment. This has been a long time favorite for the atmosphere and consistently good service. However this last visit did not live up to past experiences with the food. The calamari appetizer was forgettable and my mixed seafood entree of clams, shrimp, etc was over cooked and disappointing. On a bright note the Caesar salad was nice and the gelato tasty. Loved the food! Loved our waiter! We were a little bit late for our reservation and they nicely accommodated us. The one negative was that we were initially seated in a tight space while there was an open booth. We asked for the open booth but were told it was saved for another reservation. Our waiter "fought" for us and got us seated in the booth. Yay! Overall, excellent experience! LaTavola is always a favorite. We have been going there for 10 years and never a disappointment. This visit was no different with amazing food, veal and zuppe de pesce, great service, and ambiance. We always look for ward to a return visit. Food is delicious! Very creative. A bit loud, but restaurant is small and tables are close. All servers were wonderful! Fantastic experience as usual. Brought one of the coaches from the Chicago Cubs who was impressed. I ate at the bar and this particular experience was not LaTavola’s best. To begin, the food and ambiance was great, as usual. The service however was lacking, for instance I did not receive the bread until after my meal had been served. I had to ask for silverware and when it came, there was no napkin so I had to go grab one. I was not offered parmesan or pepper and had to ask for it when the bartender was serving other customers. A lot of missteps overall that were not up to standards. We were having dinner with our cousin who had never been to La Tavola Trattoria—we had previously gone with friends. We all thoroughly enjoyed our dinner and will be back! Another great meal. This is one of our must stop spots everytime we are in Atlanta. I was pleasantly surprised. The food was really good. The service was excellent!!!! The veal meatballs were amazing. Everyone I dined with loved the food. Excellent service as well. Would definitely recommend. So enjoyed eating on the back porch . Our server Mary Katherine helped us pick out a delicious wine. We split our entree between us . We had Cesar salad with the best croutons ! Mushroom ragu and veal saltimbocca. All very flavorful and delicious . Very lovely evening out before the symphony. From Capo’s Cafe to Tavola, still one of the best kept secrets in Atlanta. Kayla was our server. She was quite capable. My mother said she was an asset to the restaurant. True. We had a lovely time, great food as always. 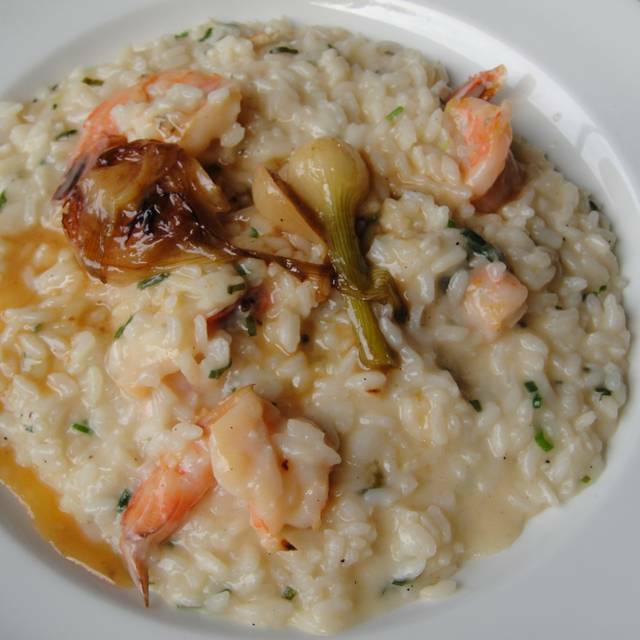 La Tavola has become our ‘go to’ for Italian. Don’t change a thing! Love this neighborhood spot! 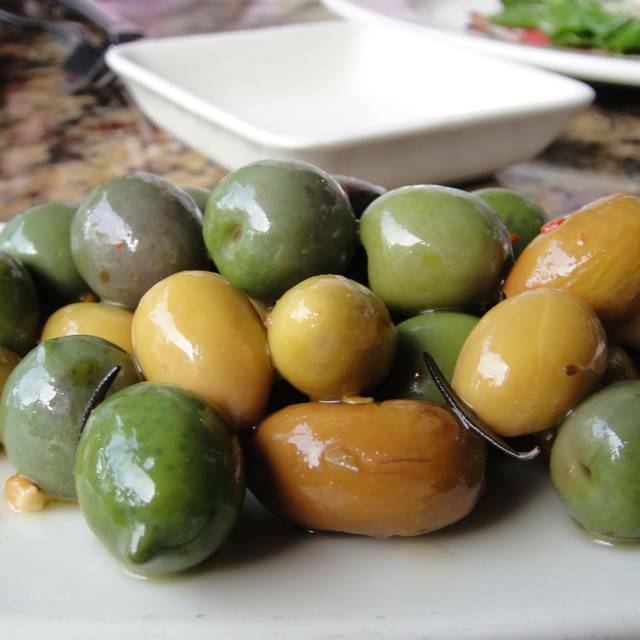 Sean was on the money with service and the kitchen was on point with our meals...love me some olives and saltimbocca! Love brunch at La Tavola on Sunday morning. Good food and great service. Thanks, Randall! Service is impeccable. Will was a great and Jen is a fantastic bartender. Delicious mushroom ragu, beet gnocchi, and wonderful bass special with chef picked shrooms. Wonderful experience. Excellent, authentic Italian fare. Couldn't decide upon which pasta to have for dinner and the waitress recommended an appetizer portion of each. Perfect suggestion. It is a small space, but I enjoyed the ambiance and watching the staff perform their duties. Will return and will recommend to friends. Food isn’t as good as it used to be. In and around downtown ATL, Italian seems to mean only pizza and fast food. 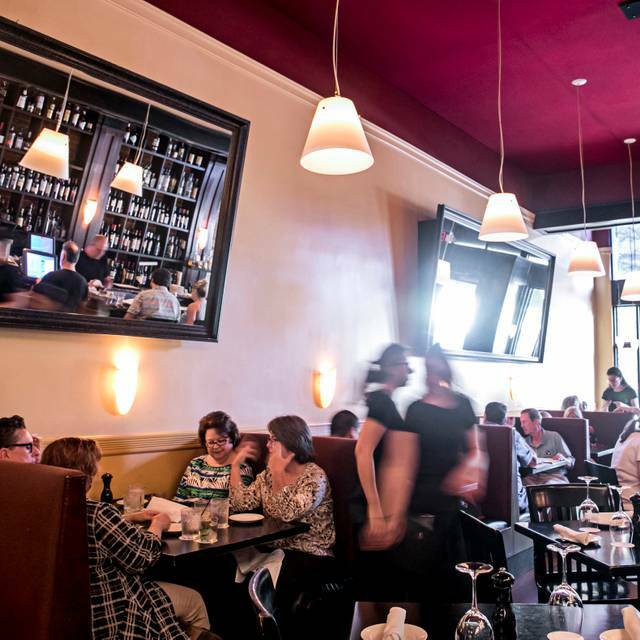 La Tavola is worth the drive out for homemade pastas, and a great selection of wines. The restaurant is very small, and staff are friendly and knowledgable. Was looking for a nice Italian restaurant to take my dad to since he was visiting for a few days and I couldn’t have chosen a better one to go to. It’s small and quaint so it seemed a bit crowded but it wasn’t stuffy. Food was delicious and they were able to make a modification to my preferred taste which I really appreciate. Great service as always! We tried two new items - roasted Brussels sprouts appetizer and the fish special which was striped bass. Both were very good, though we missed having our mushroom tagliolini that we normally have as an appetizer. They always do a nice job of combining different flavors, but I would recommend asking for a little lemon to squeeze on the fish as it really set off the flavor even more! 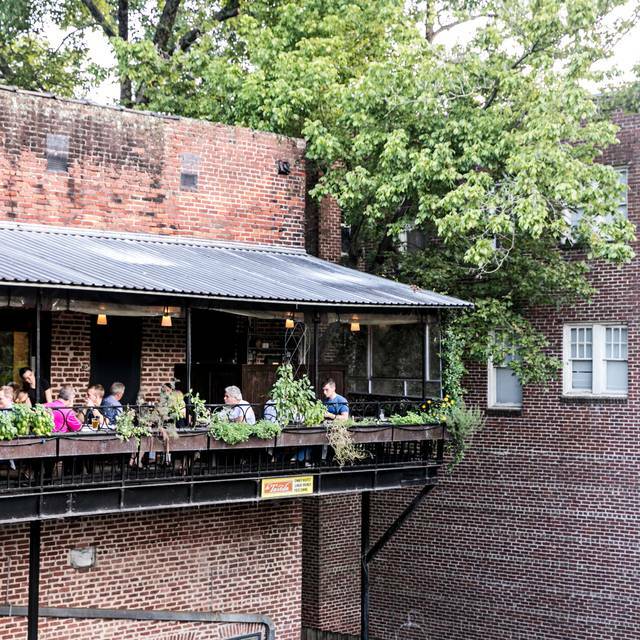 Still our favorite place for a meal out in Atlanta! The three tiny two person tables by the door are horrible. The waiter bumps into some constantly and if someone at a different table wants to leave you have to get up. Otherwise everything was amazing! La Tavola continues to be Atlantas best Italian. Simply amazing. Delicious and consistent from night to night. And the entire staff is top notch - polite, knowledgeable, professional and attentive. I love this place. It felt like walking into a cute NYC restaurant in Little Italy. Very lively and immediate service. Decent food. Tried the squid ink spaghetti. It was ok, not as flavorful as I’d hoped. They bring out a delicious lemon olive cake with homemade whipped cream and candle (if you’re celebrating a birthday). Definitely coming back and trying something different! La Tavola is like a trusty friend. Always warm and welcoming. Shares his/her food (I got a bowl of black eyed peas because I hadn't eaten any New Year's Day. ) We enjoyed ourselves immensely! Food and service were great overall. We were seated on the covered porch which was nice, but cramped. Several fans were running, which we had to nearly shout to talk over. Wouldn’t recommend the patio for a date, but great if you want to drown out your kids for a meal. Spaghetti marinara was super salty, but other dishes were excellent (beet gnocchi, squid ink pasta, ricotta pine nut starter).